Hello im new to this forum.But some peoples know me from irc and from playing with me. I have made some maps for all players and i hope you like them. Feel free to comment the maps after playing. thx and i hope you enjoy what i`ve made. On Mining u can play ffa or in 2 teams.This map is a very low oil map with small streets. DoubleNexus is a 2v2 player map.And Nexus is in the middle of map on 2 positions.Thats why it is a 8player map.You have to start with advanced bases.But be carefull Nexus is is very strong. I got other maps too.But i only can post 3 maps.How i can post more.Do i have to make a new post? Back and working on more maps than before. more maps made by me.enjoy it.but dont forget feedback pls.if something is bad,i can change it. WZCHERCKERS is a really small map for 1v1 it looks like a cherkersboard. hint:try out Quadrophonia,because this is my best map i`ve made. Quadrophonia is a really pretty huge map.u can play it in 2v2v2v2 or 4v4 teams. TeamContest is really good map for 2v2 Contests.But u can train your actions on it too. Last edited by BrickTop on 31 Aug 2010, 12:08, edited 12 times in total. EDIT: From what Mero said I guess it is more of a flame issue. Last edited by Dalton on 01 Sep 2010, 06:37, edited 1 time in total. There is one main reason why some structures appear in blue..
All features are strictly divided and assigned into particular map type, Arizona, Rocky Mountains, Urban. Features like trees for example are only assigned to Rocky Mountains selection, in any other they will appear blue..
BrickTop I have learned how to use features as follows, I had made a simple map with many features, for example Arizona, I compiled it and I observed if any of the items appears in blue in game, if no, it means I have used them correctly. Do not worry they are very specific and easy to remember, and I have made this mistake at the beginning too..
ok,i really thx u guys for all feedback. like u say mero im new to making maps,but i train all days and one day im come out with the perfect one. i have so many ideas to making maps.but i still need support,for all the topics around mapmaking,and gateways too. some maps are finish but i dont know should i come out with it or not? and i forget the preview pics for the 3 last maps:Quadrophonia,TeamContest and Up&Down. Hi guys,here is a new map,which i really like to play.Coz u can hide and seek . 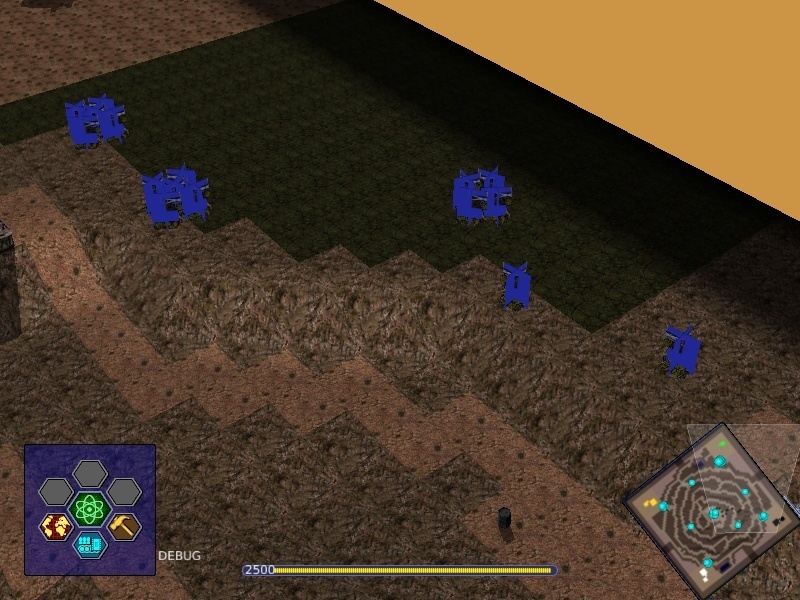 It is a 8 player map based on Urban tileset. check it out - ffa or in team. what should i say.i got no feedback thats why . ok i try it again. here is my new map called Monster3.This map is a replica of the old map Monster2. Last edited by BrickTop on 08 Sep 2010, 11:56, edited 1 time in total.